This centrally located hotel offers many upgraded features to the rooms including plush chairs, flat-panel TVs and ample storage space. The expanded meeting facilities are a nice amenity for groups. 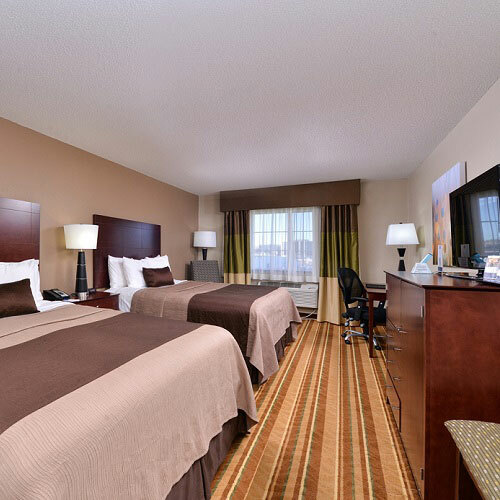 Located near several shopping and dining options, this hotel offers a great location for those staying a little while in Omaha and who also want to do some exploring. Smoke free premises. 72 units. 3 stories, interior corridors. Accessibility (Call). I-680 exit 3 (W Dodge Rd), 0.7 mi w to 108th St and Old Mill Rd, then just w on Mill Valley Rd. 650 N 109th Ct 68154.